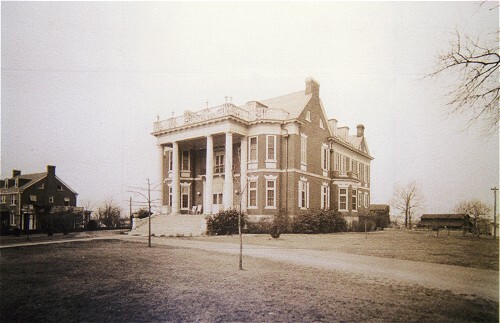 Scuffle Hill house, shortly after its reconstruction. At that time, it was owned by Rives S. Brown. Notice the size of newly-planted trees and also the Barn at rear of house.